Bruce J. Cooper specializes in the practice of labor, employment and employee benefits law for clients in both the private and public sectors. He has also developed a special expertise in affordable housing law for homeless, low income, elderly and the disabled. 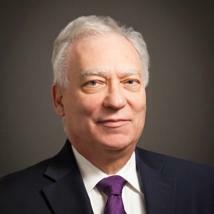 He advises clients in diverse industries such as parking garages, school and commuter bus, tucking, car and truck rental, restaurant, baking, grain milling, handbag, leather goods, construction, warehouse, security, manufacturing, and health care industries, law enforcement and court systems, and others. Mr. Cooper regularly represents clients in federal and state court litigations and other court proceedings, before various federal state and city government administrative agencies including the National Labor Relations Board, the U.S. Equal Employment Opportunity Commission, the New York State Public Employment Relations Board, City of New York’s Office of Collective Bargaining, Office of Labor Relations, Office of Administrative Trials and Hearings, and the New York State Division of Human Rights. He is a member of the Bar of the State of New York and is admitted to practice before the Supreme Court of the United States, the U.S. Court of Appeals for the Second Circuit, the U.S. Court of Appeals for the District of Columbia Circuit and the U.S. District Courts for the Southern and Eastern Districts of New York. Prior to joining Pitta LLP, he was a founding member and named partner. He received a Bachelor of Arts in political science from Long Island University, and a Juris Doctor from New York Law School.